Owners should take their pets to the vet if they suspect sudden blindness. Ocular neuritis occurs when the optic nerve, the nerve which transmits the signals of the eye to the brain, becomes inflamed. Sudden blindness is a rapid onset of vision loss which usually occurs in one eye only. Sometimes known as amaurosis fugax, it can be caused by a wide variety of factors. When people notice disturbances in their vision, they should consult an ophthalmologist immediately to get advice and treatment, as changes in someone's vision can be indicators of a stroke, dangerously high blood pressure, or another medical problem which requires immediate medical attention. The presentation of sudden blindness varies, depending on the cause. Some people experience a rapid fogging of the vision, find that the center of their vision is dulled or blacked out, or feel like a curtain is being drawn over one of the eyes. 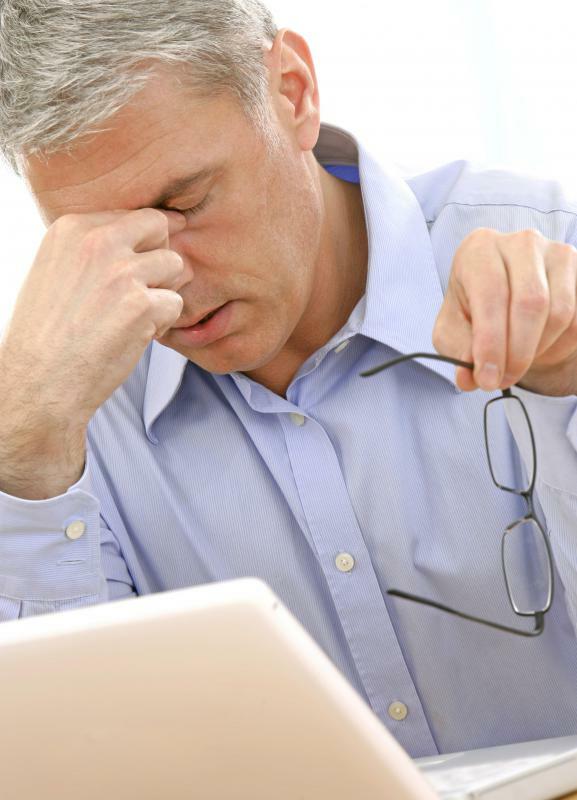 Sudden vision loss is usually painless. People should take note of any additional symptoms they experience, as they may provide important clues to what is going on in the eye. 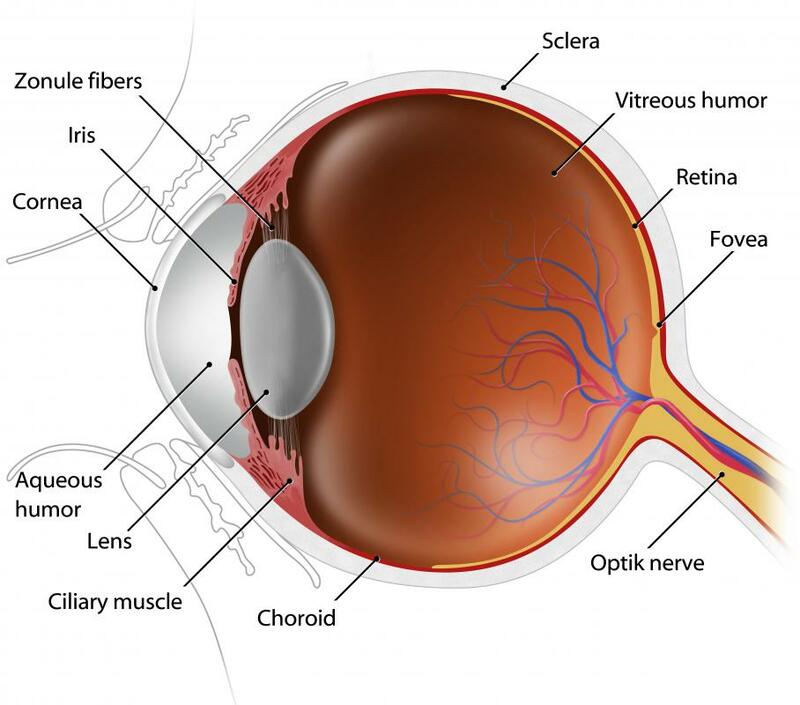 A common reason for someone to experience sudden blindness is an interruption of the bloodflow to the eye, caused by a blockage to the central retinal artery. A buildup of pressure inside the eye can also cause this condition. Strokes, high blood pressure, long term dialysis, and diabetes are all linked with damage to the eyes which can sometimes cause sudden blindness. Retinal detachment or trauma to the eye can also cause this condition. Optic neuritis, multiple sclerosis, and other problems with the optic nerve can also lead to sudden blindness. An ophthalmologist can examine the patient to learn about what is going on and make treatment recommendations. Relieving pressure on the eye is often recommended as an early and rapid treatment, and medications or procedures may be used to free a clot or other blockage. Since damage to the eye can result in permanent blindness if it is not promptly addressed, time is of the essence and care providers tend to work quickly. This condition can also be observed in animals. In some cases, the onset of blindness is slow, but pet owners don't realize it because their animals cannot communicate about their failing vision. In other instances, a rapid onset of blindness occurs because of high blood pressure or other medical issues. As with humans, the best outcomes are possible when treatment is provided promptly. Pet owners should keep an eye on their animals and take note of unusual behavior which might indicate the presence of a health problem which could require the attention of a veterinarian. What is Retinal Vein Thrombosis? In the third paragraph reference is made to a blockage of the central renal artery. This should say the central retinal artery. The renal artery is in your kidney. @croydon - It does really depend on the circumstances. In that case I would definitely have gone to a doctor to make sure everything was all right. Even if your vision comes back halfway through the trip, at least you're already on your way there in case it is a symptom of something else. But I get blurred vision when I get migraines, sometimes to the point where I feel like I can hardly see at all. Of course, most of the time I'm not trying to keep my eyes open! I'm just saying that it isn't always an emergency. Sometimes it's just something that happens. I had a friend tell me recently that she had lost the vision in one eye one night. She had been working very hard all day, and mostly had been reading and doing close work on her computer. She saw her vision on one side start to narrow and suddenly it went all together. She just sat there for a while until it came back. I was horrified. I mean, I told her that it could have been a stroke happening or a number of other problems. The eyes are directly linked to the brain so a sudden blindness in one eye is not something you should just wait and hope it corrects itself.